In a city that keeps surviving disaster, one elite team is dedicated to making our shores a little safer. 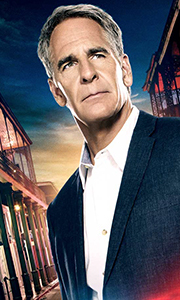 Dwayne Cassius “King” Pride (Scott Bakula) knows every corner of the Crescent City from his days as a deputy. Now, his mission has higher stakes as he leads an elite crew that tackles crimes that threaten national security. The Big Easy is in good hands with a supremely professional team with a passion for justice. Pride's trusted r..
America comes to the Big Easy to party, but the crimes can turn deadly serious. That’s where the elite unit of NCIS: New Orleans comes into play. As special agent-in-charge, Dwayne Cassius “King” Pride (Scott Bakula) is responsible for cracking cases threatening American security or involving military personnel. His hand-picked unit includes streetwise former NOPD detective Christopher Lasalle (Lucas Black), ultra-dedicated agent Meredi.. In the third season of NCIS: New Orleans, protecting America's wildest party town is a full-time job for this elite crime-fighting unit. Nothing will stop special agent-in-charge Dwayne Cassius "King" Pride (Scott Bakula) from defending his beloved city, with the help of reliable right-hand man Christopher Lasalle (Lucas Black) and unstoppable undercover expert Sonja Percy (Shalita Grant). As the field agents hit the streets, their evi..